No, we may not have Willy Wonka’s Chocolate Factory but the LA County Fair’s Rock Candy Factory is the next best thing! This exhibit pays homage to both the geological and sweet tooth perspectives of Route 66. Guests of all ages are invited to explore the history of rocks and rock candy inside Building 10. Through light-hearted exhibits such as the Candy Land display to the more in-depth geology exhibits from the National History Museum, children and adults alike will learn something new about The Mother Road. 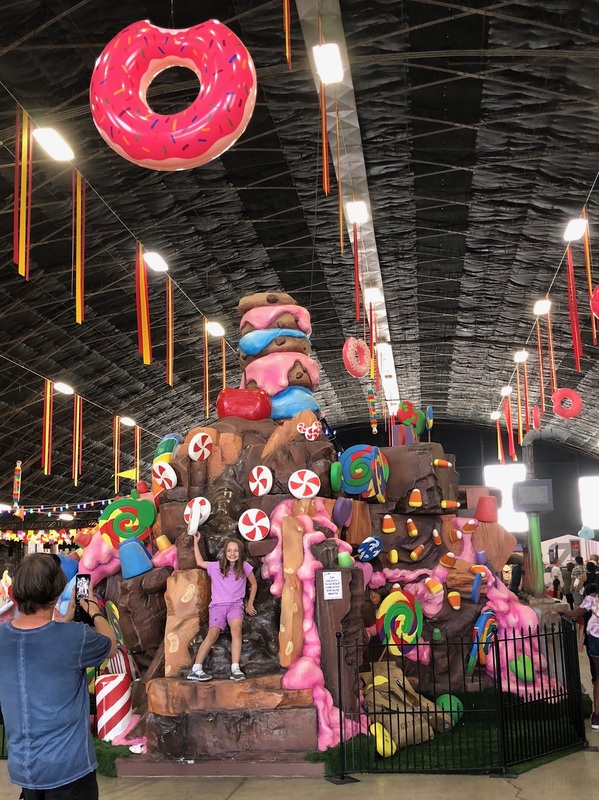 Upon entering the building, Fairgoers are greeted by a towering display of peppermints, donuts, candy corn, frosting, fudge and other delicious favorites. 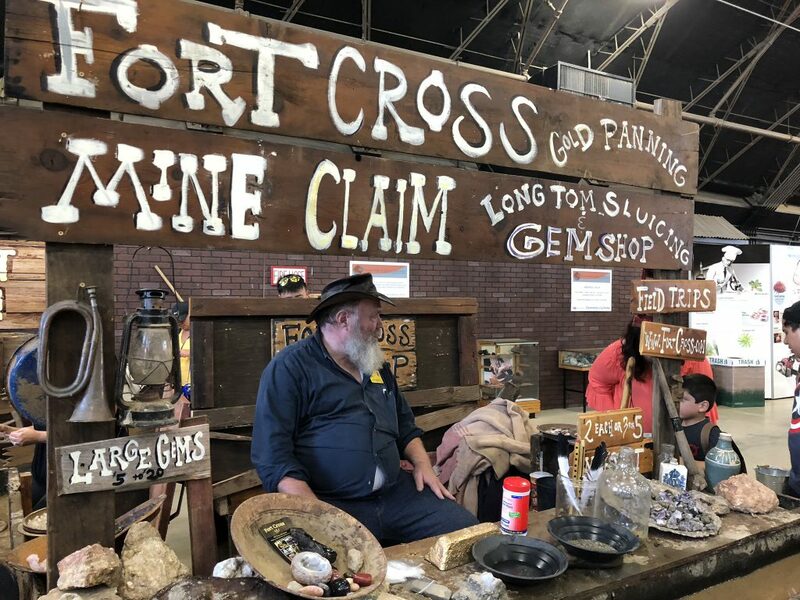 To the left, guests can take a walk through the Wild West as it was back in the 1800s, learning about geodes and working in the mines. 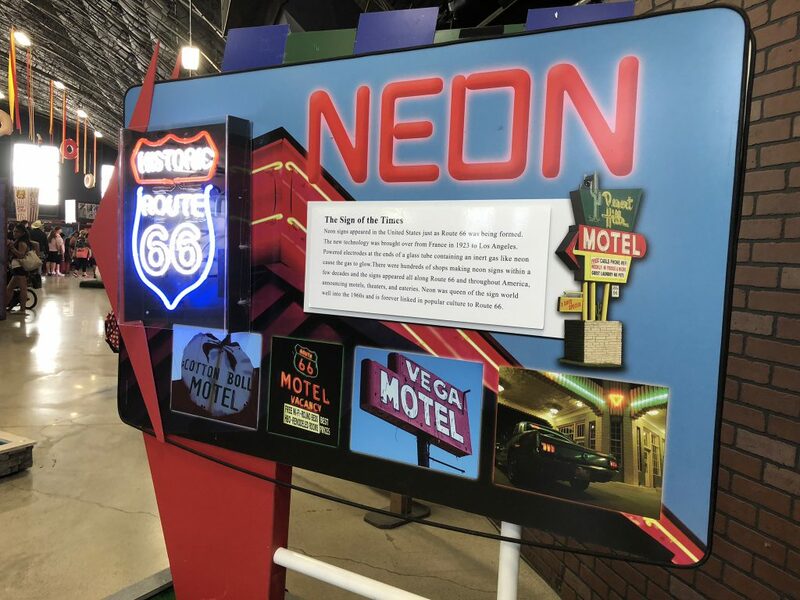 To the right, guests can take a walk through the history and science of neon, a staple of Route 66 motels, restaurants and bars. 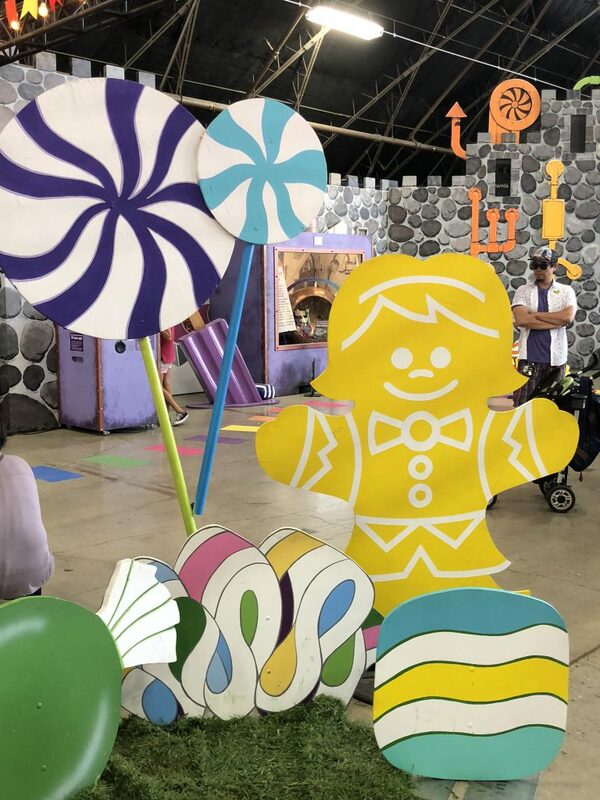 The center of the exhibit is dedicated to the history of rock candy (and regular candy), including fun candy trivia, lessons in how candy is made, and a giant picture-perfect Candyland display. 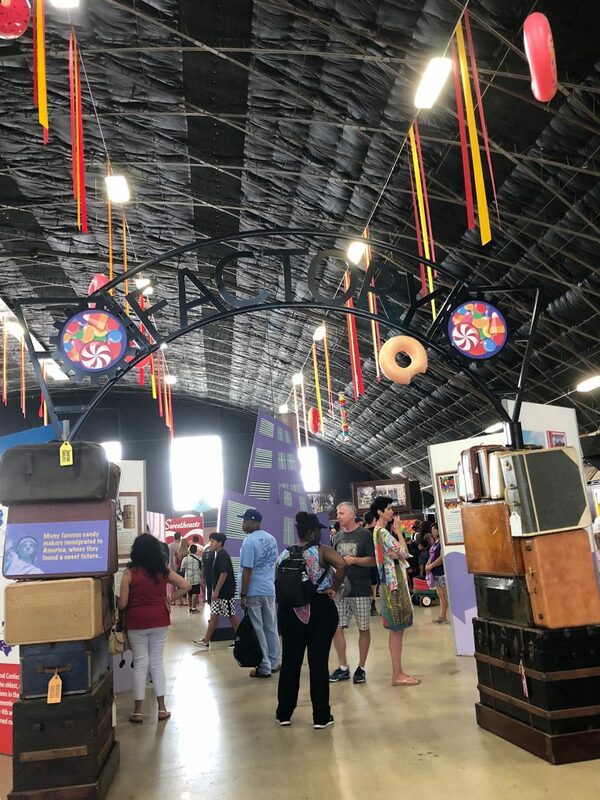 Last but absolutely not least, the Jelly Belly Factory has several of their iconic jelly bean portraits featured here at the Fair. 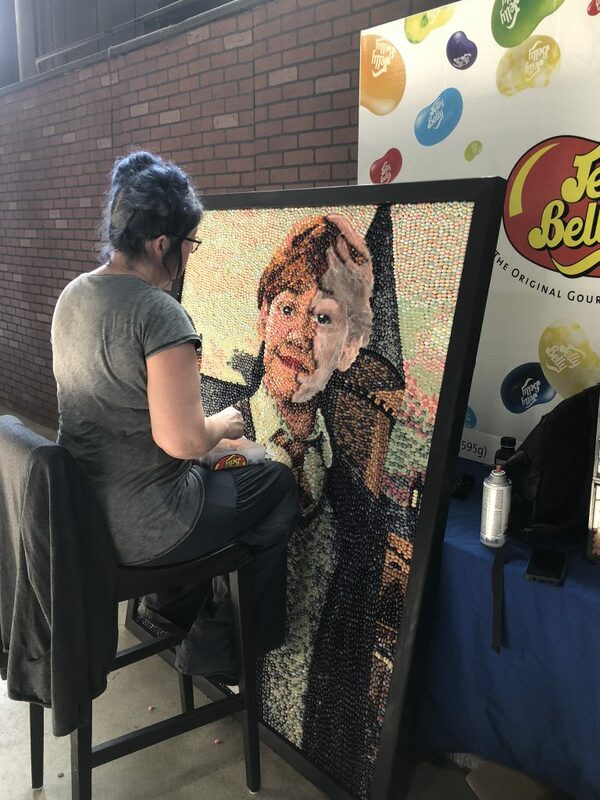 We were able to see one talented artist creating a portrait of Harry Potter’s Ron Weasley. The Fair is open for one more week! 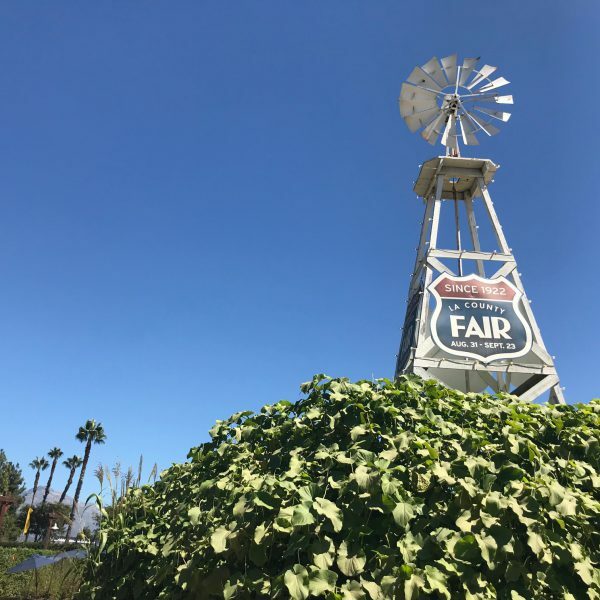 View all special offers, promotions, prices and other info at lacountyfair.com and make sure you use #FairKicks in your captions so we can see what you thought!